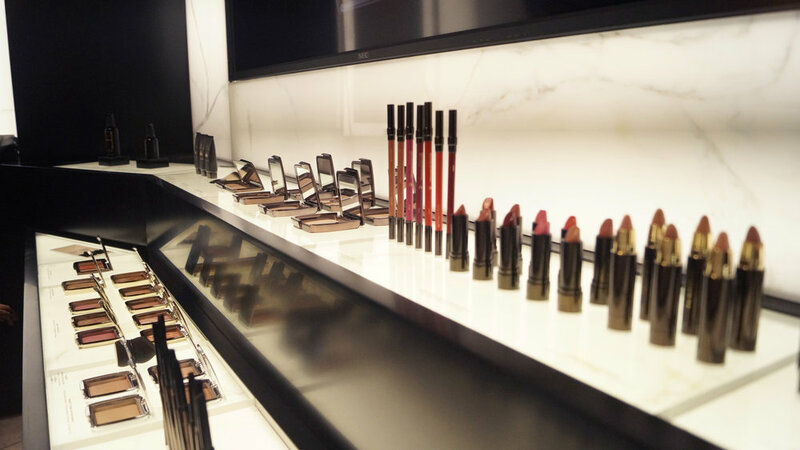 From concept through to build, Umbrella worked with premium US cosmetics brand HOURGLASS as they entered the UK Market. Working alongside the LA based brand team, we designed and delivered installations in Hong Kong and across the UK as their roll out continues. This unique brand required a look that would excite and demand attention within the crowded department store arena. Umbrella designed beautiful backlit marble walls with black accents, to enhance the Art Deco inspired packaging of the brand.